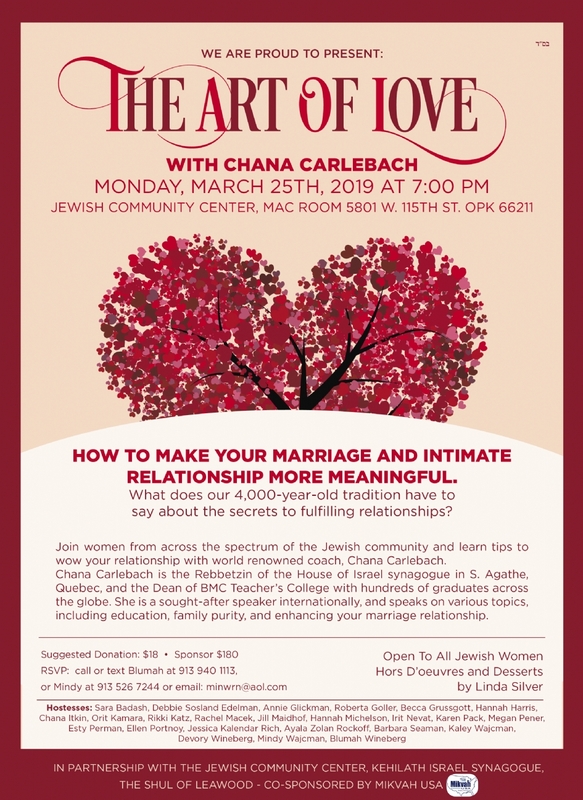 We are so excited for the enthusiasm for the upcoming program for women, The Art of Love, coming G-d willing on Monday, March 25 th at The J in the Mac room, at 7:00 pm. Our dynamic speaker, Chana Carlebach, is excited about coming to Kansas City and meeting the women in our community. She is a sought-after speaker and coach about women’s spirituality. She will be speaking about the power of intimate relations and the woman’s role in enhancing the marriage relationship. Her topic will have appeal to women of all backgrounds and ages, whether married or not. Our caterer, Linda Silver, needs to have an estimation of the number of attendees. We would therefore appreciate if you can forward any names to us you know are coming. 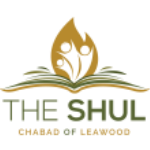 Neshei Chabad - Address: 10258 Glenwood St. OPK 66212.